Anybody who writes (or anybody who delves into the creative arts) realizes how satisfying, frustrating and how addictive the process of putting pen to paper (or today, fingers to keyboard) can be. Perhaps, it is because of this 'yearning to write' that, there is such a long history of substance abuse among writers. In some cases, it remains controversial whether the author him/herself actually indulged in drug use or whether the writer simply wrote about it, planting a character or two into the uncomfortable world of addiction. 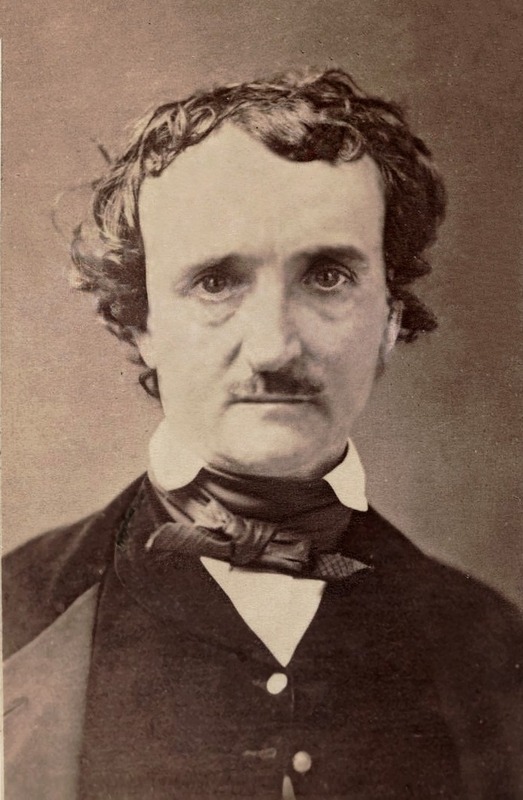 Edgar Allan Poe is one writer where controversy still stirs around the possibility that he may have used drugs. Most agree that the man did drink alcohol heavily although the term 'heavily' may not have been appropriate for the times. Poe's death was dramatic, sudden and puzzling. He was found delirious on the streets of Baltimore and died shortly thereafter (October 7, 1849). 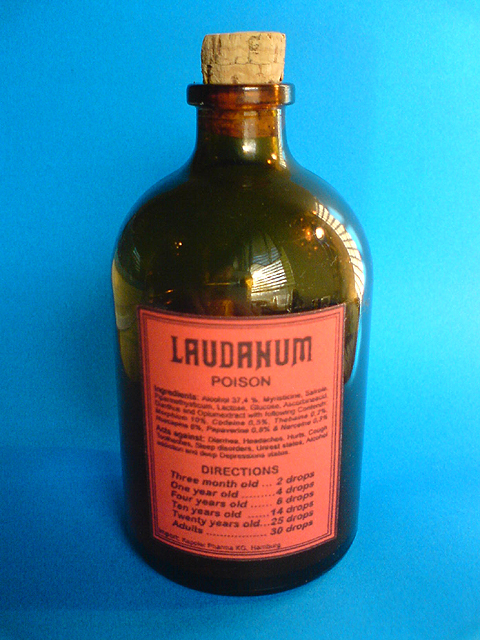 Some believe that, aside from a regular heavy use of alcohol, Poe was also addicted to laudanum (tincture of opium) which, at that time was available without prescription as a cough suppressant. One commentator of the time said: 'I incline to the view that Poe began the use of drugs in Baltimore, that his periods of abstinence from liquor were periods of at least moderate indulgence in opium'. 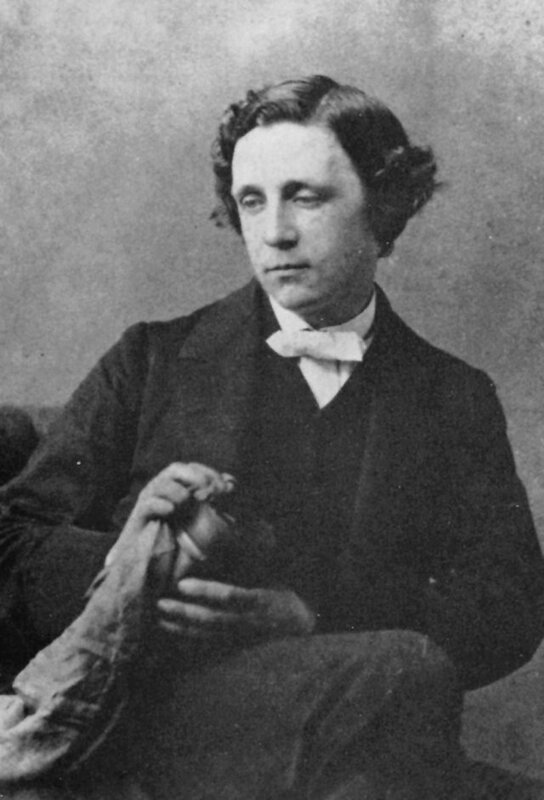 Charles Lutwidge Dodgson (Lewis Carroll), the author of Alice's Adventures in Wonderland, Alice Through the Looking Glass as well as a large number of entertaining, strange and wonderful poems was sickly as a child (whooping cough) and also suffered from a speech impediment (stammer). In later years, he suffered from hearing loss, migraine headaches and epilepsy. 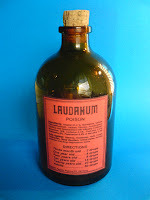 Dodgson is known to have used laudanum (as did Poe) and possibly also belladonna (deadly nightshade) for his headache. Belladonna, taken in adequate doses, can produce hallucinations, much like Alice experienced during her adventures (see post: Mother Nature's Psychedelic Roadside Drug Store). Sir Arthur Conan Doyle (an ophthalmologist, by training) wrote about his character, the detective Sherlocke Holmes who, aside from cigarettes, cigars and pipes was a regular user of cocaine (in a 'seven percent solution') as well as the occasional user of morphine. Robert Louis Stevenson suffered from tuberculosis for most of his life and died of a brain hemorrhage at the young age of 44 years. 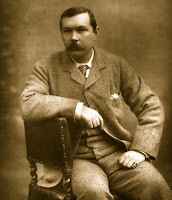 'The Strange Case of Dr. Jekyll and Mr. Hyde' made him his fortune and he bought a South Seas island to which he retired to spend the rest of his days in quiet, writing, taking opium and whiskey. Others claim that he was a 'rampant cokehead', writing his hugely successful novel in under one week. 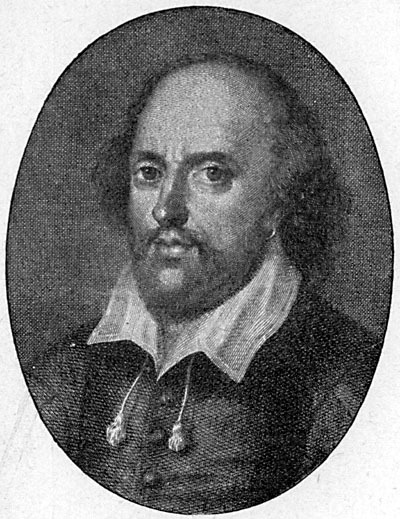 That every word doth almost tell my name." But Shakespeare lived 400 years ago and the others lived in the nineteenth century, times when these drugs were not controlled substances and users usually had no idea that taking these medications could have harmful side effects. It is likely that many, if not all, of these writers used (or abused) alcohol but with all the education on drug abuse in our society today, are things any different?..Yes. Things are different. Substance abuse among writers is probably much more rampant than it was during the times when many of the 'better' drugs were harder to find. Stephen King, hugely successful as a writer of horror, admitted to cocaine use especially between the years 1979 and 1987 which explains the history of his constant bloody nose and stories which always seem to involve a psychic or a mad man. William S. Burroughs, author of 'Naked lunch' and 'Junkie' was an abuser of eukodol (an opioid, today's oxycodone) and heroin. Jack Kerouac, author of 'On the Road' and 'The Subterraneans' (written in under four days!) was a renowned user of Benzedrine, an amphetamine which would explain his 'rocket-jet writing style' and the subject matter of his books, often involved 'drug-fuelled cross-country road trips'. Ken Kesey, is best known for his book about a mental institution (where he actually spent some time as a patient), 'One Flew Over the Cuckoo's Nest'. 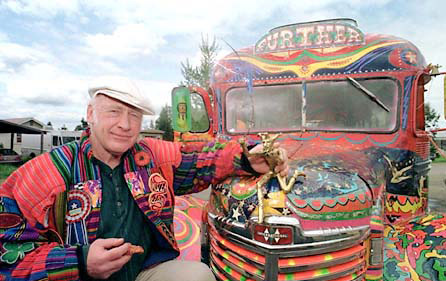 Kesey was a graduate of Stanford University's Creative Writing Program and was also part of the government-financed (CIA) MKULTRA experiments, which tested the effects of mind-distorting drugs like LSD, mescaline, and pot. These drug 'studies' were focused on finding 'mind-control' and 'truth' drugs. Towards the end of the program (1957 to 1964), the study focused on schizophrenia research under the direction of Dr. Donald Ewen Cameron of the Allan Memorial Institute of McGill University in Montreal, Canada. Aldous Huxley wrote 'Brave New World' and was known for his interest in mysticism, parapsychology and ingesting mescaline. On his death-bed at age 69, unable to speak, he wrote a note to his wife asking for an intramuscular injection of LSD. His book 'Doors of Perception' is thought to have influenced the band 'Jim Morrison and the Doors' ('Break on through to the other side'). Thompson was a life-long user of LSD, mescaline, cocaine and alcohol. 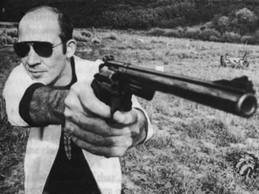 He loved guns and committed suicide by shooting himself in the head on February 20, 2005, age 67. Being an author can be stressful, even dangerous...Any of you reading this thinking about writing a book? *Drug addiction: subject of research for the novel Whip the Dogs - Amazon Kindle.